These have to be my favorite dessert! Yum! 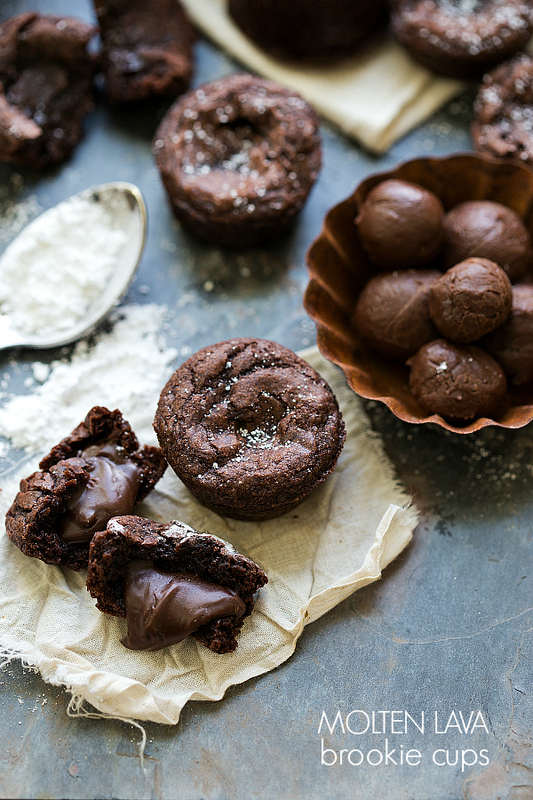 A deliciously fudgy molten lava miniature cookie cup that tastes like a brownie! This seven-ingredient dessert is absolutely delicious. Dovetailing Tip: On the previous day, prepare the first 4 ingredients as directed. Refrigerate, roll into balls, then freeze overnight. They will be ready to finish preparing today. Place the cookie brownie balls into the prepared muffin tin. They should only fill the muffin tin 3/4ths of the way. Bake for 12-14 minutes remembering the key to the molten is slightly underbaking these.